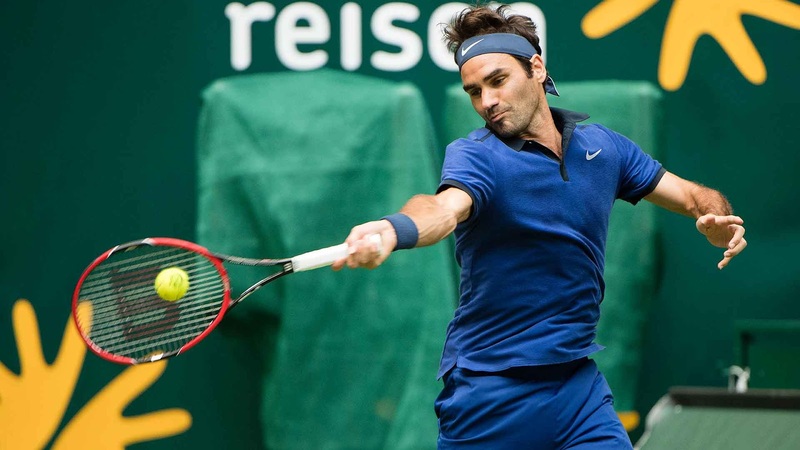 Top seed and eight-time champion Roger Federer is one match away from reaching the Gerry Weber Open final for the 11th time after he defeated fifth seed David Goffin 6-1, 7-6 (10) in 81 minutes on Friday. The Swiss broke back with Goffin serving for the second set and secured the win on his fifth match point. The Swiss will compete against Alexander Zverev in Saturday's semi-finals. The German star saw off Marcos Baghdatis 7-6 (9), 6-3. “Zverev got a big serve, he’s got a nice backhand, he’s improving his forehand and he’s moving forward. He’s going to be a tough player in the future, no doubt about it,” Federer said. Federer won their lone ATP Head to Head meeting 6-3, 7-5 at last month's Internazionali BNL d'Italia. The World No. 3 had only played 18 matches in 2016 heading into Halle due to knee and back injuries and is looking for his first title of the year. Federer took a 3-0 lead against Goffin in the 21-minute first set, which included five breaks of serve. The pair exchanged service breaks midway through the second set, prior to Goffin breaking Federer to 15 for a 5-4 lead. Goffin failed to convert one set point when serving at 5-4, 40/30 and four more in the second-set tie-break. It was Federer's 29th straight win against Belgian opponents.